You were almost home. You’re a good driver too. All of a sudden you were rear-ended by a drunk or distracted driver. Your body flew forward, knees crashing into the dashboard. You and your right knee have never been the same again. You still don’t feel comfortable driving your car. If this story sounds familiar, keep reading. Here’s everything you need to know about your knee injury from a car accident, straight from an injury lawyer in Baton Rouge. One of the most common injuries from car accidents is knee injuries, especially when the victim gets rear-ended. On impact, your knees can get pushed forcibly and crushed into the underside of the dashboard. All dashboards are different with varying levels of rigidity. But most will cause damage when they’re flown into at 20 miles an hour or more. This can cause knee injuries by stretching, breaking, or twisting ligaments and cartilage out of shape. Knee injuries can completely turn your world upside down. Everyday activities that used to come so easily to you–like getting dressed, buying groceries or running around with your kids in the backyard–can now feel impossible. Your ability to walk is seriously impaired and the pain is beyond belief. Or maybe it’s not that bad, just some minor stiffness here and there. The problem is, it can get worse. Many joint injuries get worse over time, impacting your mobility, well-being, and even your state of mind. Sure, it could be much worse. You could be dead. Deaths from car accidents are more common than you think. Nearly 1.3 million people die in car accidents a year, which breaks down to about 3,287 deaths a day. It’s funny how more people are afraid to fly than get into a car. The odds of a plane crash are one in every 1.2 million flights. The odds of dying in a plane crash is one is one in 11 million. Your chances of dying in a traffic accident are one in 5,000. Then there are the 20-50 million people who become injured or disabled from car accidents. One study found that out of 74 collisions, 222 passengers were affected. Of those people, 57 of them had 69 knee injuries from crashing into the dashboard. 51 of these injuries were mild, 10 were moderate, and 8 were severe injuries. Those with mild injuries only had bruising, while those who were hit by a greater force suffered fractured patella, a serious knee injury that can make it difficult or even impossible to straighten your knee or walk. Other victims experienced deep cuts to the skin, and open joint wounds. In some cases, legs became trapped under the dashboard, sustaining bony and ligamentous injuries similar to sports injuries. Degenerative arthritis, which occurs when flexible tissue at the ends of bones wears down, can develop later in injured knees at a greater rate than in normal knees. Some victims even suffered from long-term and life-altering disabilities. A dashboard knee is a specific leg injury that happens when one’s knee is crashed into the dashboard of a motor vehicle during a head-on collision. This injury can be similar to a sports injury. Dashboard knee occurs almost exclusively due to a crush injury, and even seat-belted victims’ knees can slip beneath the seat belt and hit the dashboard. The patella, or knee-cap, is the most likely to be damaged in a dashboard injury. Fractures of the patella, while uncommon, can happen with dashboard knee. Your patella is a free-floating bone that is attached to the quadriceps and to the tibia distally. Your patella’s sole purpose is to protect part of the surface of the joint of the knee. So the pressure on the kneecap can break the kneecap. If the kneecap is fractured, immediately you will feel excruciating pain. Putting weight on your injured leg can feel almost impossible and the swelling is very obvious. If this happens, you will need to be checked out by an orthopedist, who can tell if surgery or splinting is needed to heal the bone. Dashboard knee can also cause a tear in the posterior cruciate ligament or the back of your knee. This ligament prevents the tibia from being pushed backward. If the tibia is pushed backward, the posterior cruciate ligament can tear. It’s important to note that some people have no symptoms of their knee injury from a car accident until weeks or even months after the accident. Symptoms pop up because of inflammation of the tissues. These symptoms can include swelling of the kneecap, pain on or to the side of the kneecap, tenderness to pushing the kneecap, bruising on the kneecap, stiffness when bending the knee. An x-ray can’t show the soft tissue injuries seen in dashboard knee. It can only show a patella fracture, which is uncommon. A better and more efficient dashboard knee test is a magnetic resonance imaging, or MRI. MRIs can show what shape your knee ligaments, patella and other parts of your knee is in, even if time has passed since the injury. Dashboard knee injury treatment can vary based on how severe the injury is. This treatment will be decided by an orthopedist, physical therapist or chiropractor. It can take weeks even months before you see results, until the muscles around the knee are strengthed and stabilized. There are different stages of dashboard knee treatment that include the following: electrical stimulation, cold laser therapy, and ice to reduce inflammation and ease the pain. These treatments are then followed by exercises to improve your range of motion. Next, you will need to take a few days off of rehab until you can continue to phase two, which includes more ice and cold lasers for inflammation, modified squats, quadriceps, and knee extension exercises. Your knee has four ligaments that can become damaged in a car accident. There’s the anterior cruciate ligament (ACL), posterior cruciate ligament (PCL), medial collateral ligament (MCL), and lateral collateral ligament (LCL). There are different degrees of ligament damage that your doctor will decide. A grade 1 sprain is slight stretching of the ligament. Grade 2 is a partial tear, and grade 3 is a complete tear. If you have a complete tear, you may be struggling to walk because of the pain and lack of stability in your leg. Other symptoms of knee ligament damage include swelling, bruising, limited movement, and extreme tenderness. Most doctors will recommend that patients do the RICE method immediately, which is rest, ice, compression with an elastic bandage or brace, and elevation. Some ligament tears are so severe that surgery can be required. If you need surgery, it can take up to a year to fully recover from surgery, and you’re able to return to everyday activities. But you will probably never fully be the same. If your kneecap dislocates, what happens is that it slides to the outside of the leg. I know, I’m squirming as I type this. A dislocation is usually obvious just from the look of it. Other symptoms include a deformed look of the knee, inability to straighten the leg, pain, swelling, and tenderness. Luckily, if your dislocation didn’t damage your kneecap, it may be able to heal in a few weeks with a cast, brace, and physical therapy. 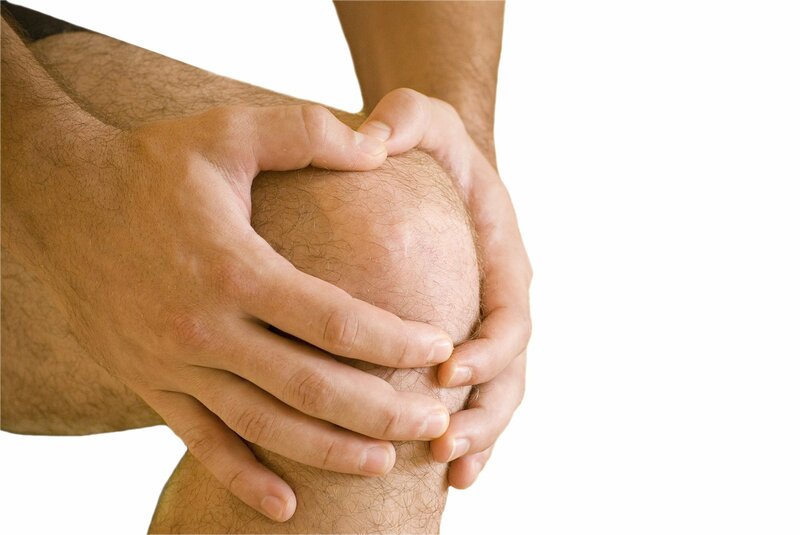 If there is damage to your kneecap, surgery might be necessary. There are three different types of fractures that can happen in an accident: a stable fracture, a displaced fracture, or a comminuted fracture. A stable fracture is the least serious. A comminuted fracture is the most serious, as it usually involves the bone shattering into at least three pieces. Symptoms include pain, bruising, swelling, and difficulty straightening your leg or even walking. There are various treatments your doctor will use to heal your fracture, which depends on your age, activity level and the type of fracture. Knee fractures can take months to heal and can lead to arthritis and other painful life-altering conditions. Treatments can include, six to eight weeks in a cast or brace, no weight on your injured leg until the knee has healed, physical therapy, and surgery. It is possible that there are other symptoms and injuries you are experiencing in addition to your knee injury. It is important that you are aware of these possible symptoms and injuries so you can ask your doctor the right questions. It’s also common for car crash victims to have a herniated torn disc, constant headaches, ringing in the ears, change in sense of taste, and sensitivity to light. A herniated disc injury is a spinal injury that can happen in a car accident if stress is put on the spinal column. This can cause a piece of the spinal structure, or disc to separate from your backbones or vertebrae and press against your spinal nerves, creating severe back, neck, leg, and possible hand pain. Back injuries like a herniated disc, even from a single car accident, can turn into a lifelong back problem. Symptoms include numbness or a strange sensation in the back of the legs, hands, calf, foot, toes, and fingers. Victims also experienced difficulty walking or performing daily activities. Some people suffering from a herniated disc even experience discomfort while coughing, sneezing, or sitting. This is because it puts pressure on the pinched nerves. There are two types head injuries that can lead to chronic headaches after a car crash. One is a closed head injury, which happens when your head hits an object but nothing penetrates your skull. A closed head injury can happen if you hit your head on the steering wheel. There’s also an open head injury that happens if an object, even as small as a nail, penetrates the skull. Whiplash can also cause headaches. This happens because the muscles, tendons, and nerves around the neck get inflamed and irritated during whiplash. While this pain starts in the neck, in some cases it can travel up to the head, causing a headache more painful than the neck pain. Experiencing a headache after a car accident can be a sign of an injury. Be sure to tell your doctor if you have been getting headaches since your accident. If you are experiencing a loss of taste and smell after a car accident, seek medical attention immediately, as you could have a brain injury. Many people who have experienced a traumatic brain injury reported having a change or loss of taste and smell. The loss of taste is typically due to loss of smell. Loss of smell can happen after an injury to the nose, nasal passages, sinuses, brain, or the olfactory nerve, which brings the sensation of smell from your nose to the brain and the brain. Because all of these nerve passes are from the nose to the brain, you have a high risk of injuring these nerves when there is head trauma from a car accident. If you are experiencing sensitivity to light after a car accident, you should seek medical attention right away. Light sensitivity can be an indicator that you have damaged your brain, and it’s a common side effect of traumatic car accidents. Suffering a knee injury from a car accident can turn your world upside down. It can affect you and your family’s life financially, physically and emotionally. You can find yourself drowning in medical bills, losing wages, and you may even find yourself needing to find another job or taking a lower paying position. A good lawyer can help protect you and get you the money that you deserve, the money you lost in the accident you didn’t ask for. Contact us today and see how we can help you. We even offer free case reviews. Should I Hire a Louisiana Personal Injury Attorney?